Thousands of dollars put into a new kitchen — that went unfinished. 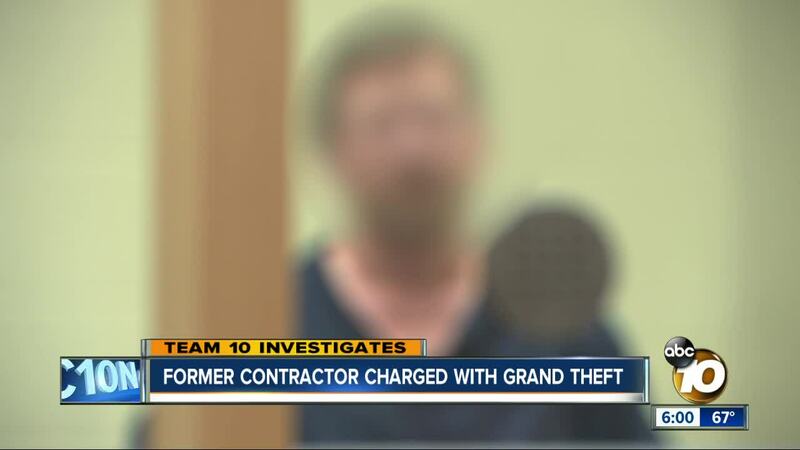 An accused contractor that has been the subject of multiple Team 10 investigations is in court, facing new charges, including grand theft. SAN DIEGO (KGTV) - A former North County contractor exposed by Team 10 was charged with more than a dozen alleged crimes. Marc Morningstar was arraigned in a San Diego court Friday afternoon. According to the prosecutor, Morningstar's charges include failure to pay tax, grand theft of personal property, using personal identifying information of another, fraudulent use of a license number and contracting without a license among other things. The license holder of the company he was allegedly working for, Quality Painting SoCal, was also charged. Maria Meeuwisse was charged with grand theft, fraudulent use of a license number and contracting without a license, along with several other alleged crimes. Court records show in September 2018, Morningstar pleaded guilty to diversion of construction funds, grand theft of personal property and improper home improvement contract procedure. On Tuesday, the Contractors State License Board added disclosures to Quality Painting SoCal’s license. A disclosure means the CSLB has an open investigation against the company and has disclosed on its website that it believes there is evidence of a probable violation that would lead to either a suspension of revocation of the company’s contracting license and/or criminal prosecution. CSLB’s investigation is open. There are no criminal charges at this time. The two violations CSLB is investigating are a departure from trade standards or specs and willful or fraudulent act. On Wednesday a spokesperson for the CSLB told Team 10 the company notified state officials it plans to shut down and cancel Quality Painting SoCal's license.